You have an idea to launch your own venture. It could be a new technology, product or service for profit or social betterment. But how do you put your idea into action? The Fulton Schools Startup Center was launched this year to empower all undergraduate and graduate students to advance their entrepreneurial ideas. According to Sebold, Fulton Schools has the highest number of students engaged in entrepreneurial efforts at the university when compared with other schools and colleges, yet did not have a formal center to align and collectively promote student ventures. The Startup Center offers signature entrepreneurship and innovation courses, workshops, new venture competitions, expert mentoring and other curricular and extracurricular events that expose students to the concepts of technology innovation and marketplace impact. 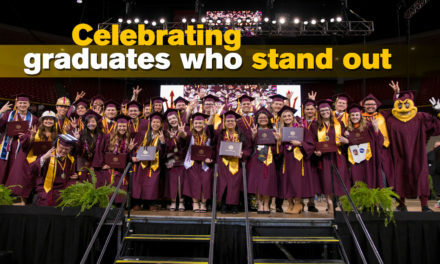 “The center supports all nonprofit, more-than-profit and for-profit student-led enterprises that may or may not be linked to a community or industry partner or formal ASU class,” Sebold said. These enterprises may be seeded within the Engineering Projects in Community Service (EPICS) program, FSE 100 Introduction to Engineering labs, the Grand Challenge Scholars Program, tech entrepreneurship classes, the Polytechnic School’s Technological Entrepreneurship and Management program and applied learning/project courses and capstone classes across all Fulton Schools. 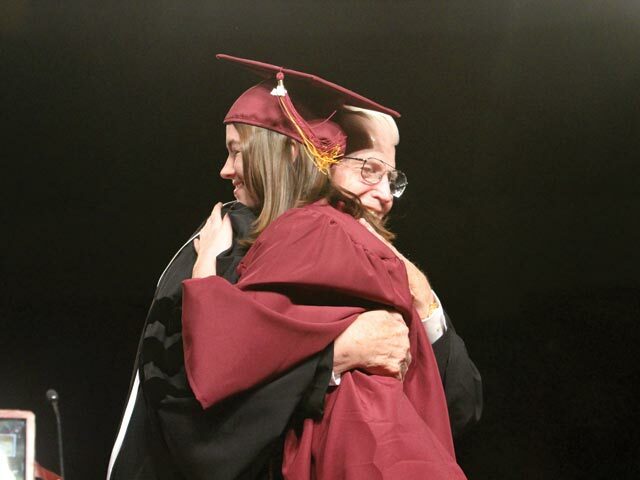 The center’s premier program is the eSeed Challenge, which is part of ASU’s Innovation Challenge program. It enables students to win up to $6,000 in seed funding and an all-expenses paid innovation retreat to advance their entrepreneurial ventures. This semi-annual competition aims to strategically develop early-stage student ventures that have the potential to compete at higher-level entrepreneurship competitions locally, nationally and globally. The eSeed Challenge is supported by a $100,000 gift from alumnus Tom Prescott to advance entrepreneurship within engineering. 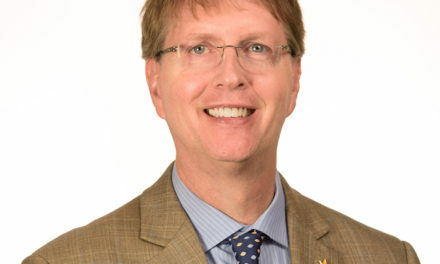 Prescott is the former CEO and director of Align Technologies, Inc. Presently the Startup Center’s programs are managed out of the Fulton Schools of Engineering Undergraduate Student Engagement Office, located in Engineering Center F-wing (ECF) 130 on the Tempe campus. 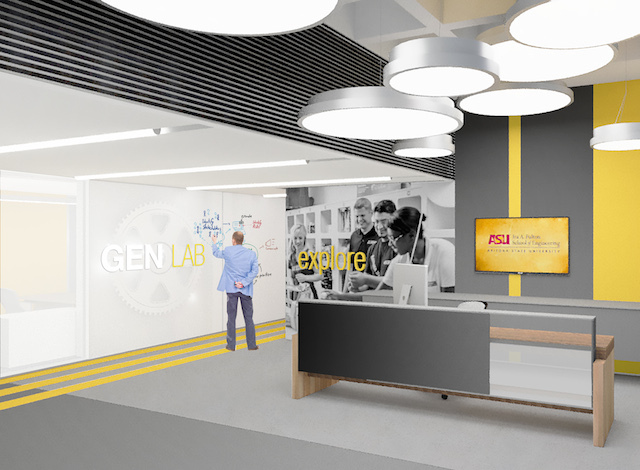 The center will soon be located within the new Generator Labs Space, to be located on the first floor of the northwest corner of Engineering Center G-wing (ECG) on the Tempe campus. Stay tuned for more information. What: Join your fellow Fulton innovators to celebrate the launch of the Fulton Schools Startup Center and enjoy a keynote address from Tom Prescott, who is the former CEO of Align Technologies and the Center’s lead benefactor. Complimentary lunch will be served. When: Thursday, Nov.19; noon – 1 p.m.
What: Watch 15 eSeed Challenge finalist teams present the status of their ventures to a panel of expert judges and compete for admission into the eSeed Accelerator where 10 teams will each be awarded an additional $5,000 to increase traction within their target markets. When: Thursday, Nov.19; 1-4 p.m.
What: Celebrate the launch of the Fulton Schools Startup Center and witness the announcement of the 10 eSeed teams who will be granted admission into the eSeed Accelerator and $5,000 each. When: Thursday, Nov. 19; 4-5 p.m. Learn more about the Fulton Schools Startup Center at engineering.asu.edu/startup-center.